Valley Elegance Kitchen and Bath LLC offers expert design services and high-quality, full-service Kitchen and Bath remodeling. We sell and install everything you need for your next home improvement project including a broad selection of quality kitchen, bath and tile products from nationally recognized manufactures and maintain an excellent business ethic. 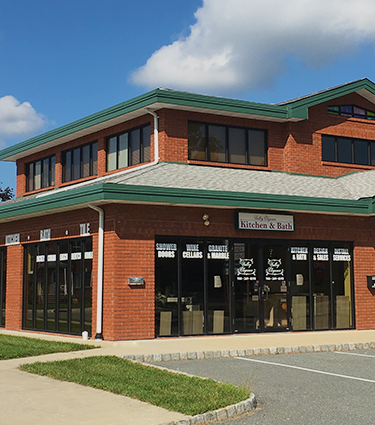 We provide outstanding customer service and sales from our Kitchen, Bath and Tile showroom in Hackettstown NJ, throughout the Morris and Warren county areas and beyond. What sets us apart from other Kitchen, Bath & Tile contractors is our ability to provide 90% of our services in-house. What this means for you is faster and more accurate timelines, less time spent waiting for subcontractors, better budget control, and a level of comfort in working with constant professionals who are already intimate with the details of your project. We take pride in offering honest estimates and an ability to stick to work schedules so that your job is completed on time. We truly get to know our clients so that we may combine your vision with our expertise to provide an end result that will far exceed your expectations. 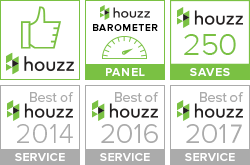 Customer service is our top priority and we have over 35 years of combined experience in the industry. Our installation and labor services are guaranteed, we are fully insured and provide free estimates. You can trust us to beautify your home with your next kitchen or bath project. We provide expert and professional kitchen and bath services, join the family of satisfied customers and contact us today!